Dance can work as connective tissue between the past and present, move beyond the boundaries of culture, and bring people together on a foundational, primordial level. That’s the mission behind Red Clay Dance, a Chicago-based dance troupe focused on invoking change on a local and global level through performing and teaching the dances of the African diaspora—or, people of African origin who have dispersed to other off-continent communities but still contribute to its cultural development. 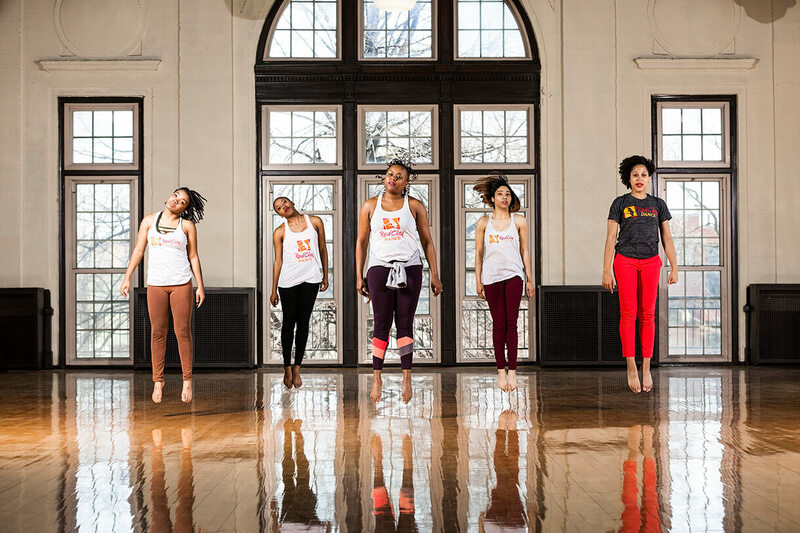 Founded in 2008 by movement artist Vershawn Sanders-Ward ’02, Red Clay Dance has spent the last 10 years cultivating a unique space in the Chicago dance scene. This year, it will complete its most exciting endeavor yet: the TransAtlantic Project, a year-long cultural exchange with choreographer Jonas Byaruhanga and the Keiga Dance Company from Kampala, Uganda. Their cross-continental collaborative performance, EKILI MUNDA | What Lies Within, premieres at The Dance Center November 8–10. 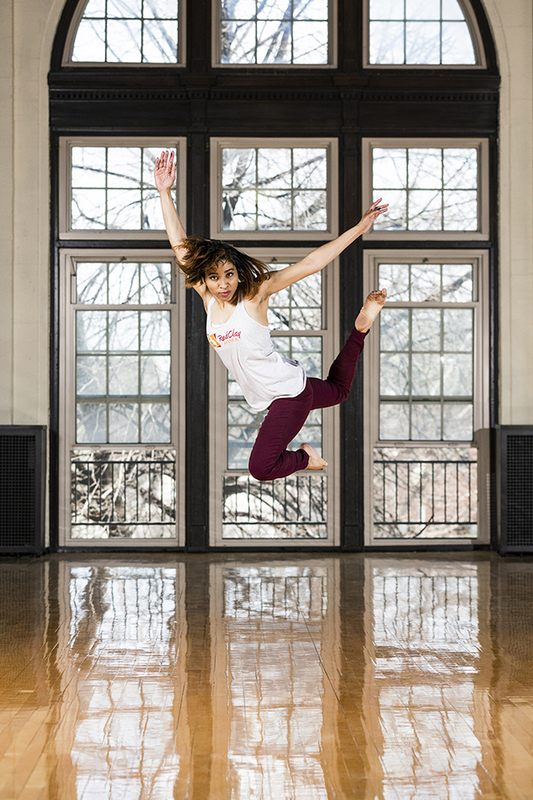 Sanders-Ward started dancing at a young age and came to Columbia as a Gates Millennium Scholar, where she received her BFA in Dance. 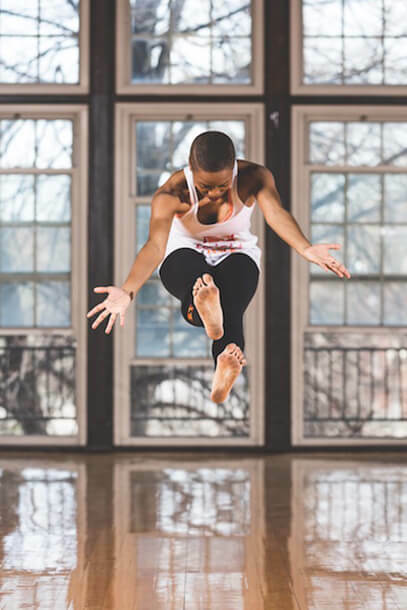 “I never thought about making dance a more viable [career] until Columbia, or being an instructor, but being there gave me the tools,” she says. Sanders-Ward then attended New York University for her MFA. “I liked the idea of being in a cultural mecca. Being in a city where dance was actively happening, where there was a dance community outside of the college.” She worked on various projects and festivals across the country before going to Senegal for a two-month preprofessional certificate program at Ecole De Sables, a dance center near Dakar. With Red Clay Dance, Sanders-Ward was able to blend the many styles she’d learned and loved through the years. She describes the work as “Afro-contemporary,” a fusion of Africanist movements and traditions that uses bodies to tell a story. That methodology inspired her company members, Marceia Scruggs ’17, Chaniece Holmes, Destine Young ’13, and Sara Zigler ’10. Meeting Byaruhanga, a Ugandan, helped Sanders-Ward feel more comfortable; even though he lived in Africa, he was trained in East African dance, and struggled just as much with the West African style as she did. West African dance requires different kinds of rhythm; a dancer’s head and arms might move to a separate beat from their feet. The two forged a friendship that led to more collaboration efforts. Then, in 2010, they decided to merge their companies—Byaruhanga’s all male and Sanders-Ward’s all female—for one large communal performance, and spent the next seven years attaining funding to make it happen. The TransAtlantic Project was eventually made possible thanks to the MacArthur Foundation’s International Connections Fund, and has been in swing since fall 2017. The two companies will present the culmination of their work this November as part of the Dance Center’s 45th anniversary presenting series. Sanders-Ward was tight-lipped on what the performance will look like, but expressed that the audience will “see liberated and inhabited bodies in space with a suspension of limitation,” adding that the sets will incorporate Ugandan art—like masks and other props—sourced from the country. *This story originally appeared as "Earth Bound" in Issue 28 of DEMO, the Alumni Magazine of Columbia College Chicago.